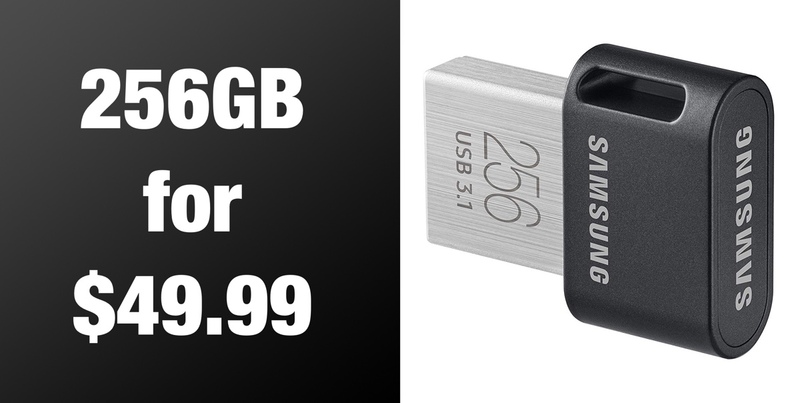 The extremely portable and highly-rated Samsung 256GB Fit Plus flash drive is on offer right now. This is your chance to get 256GB of portable external storage from one of the industry leaders in this type of product with an impressive 41% discount applied. If you have been in the market for some additional flash storage that you can carry around with you for use on your PC or Mac then you have definitely arrived at the right place at the right time. This isn’t a memory card that’s going to fit in a camera or drone. Nor is it a Lighting-enabled storage device to transfer data to and from iPhone or iPad. What you’re going to be getting is an old-school USB flash drive that is extremely portable thanks to its tiny size and which you will struggle to believe is actually capable of storing 256GB of data. Once again, thanks to its tiny size. It offers an exceptionally compact aesthetic that is designed to be unnoticeable and offers a seamless fit. It has also been designed with a handy little clip on the side to hang without issue on your existing keyring. This should mean that you are able to keep it safe and close to you at all times. Yes, that’s right, that’s 256GB of additional storage hanging on your keys for instant access and ease-of-use. You could also be forgiven for thinking that the size of this accessory means that it’s going to offer rudimentary functionality. You’d be wrong. This accessory is waterproof, shockproof, magnet proof, temperature proof, and X-ray proof. 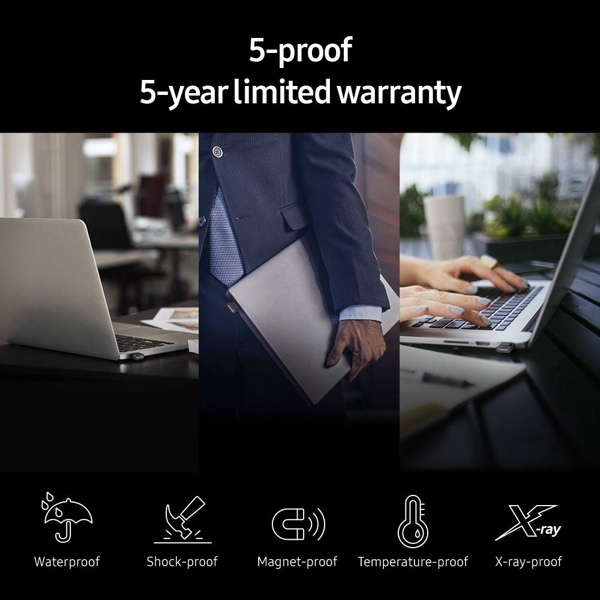 It has a 5-year limited warranty assigned with every purchase and comes with USB 3.1 technology offering backward compatibility to USB 3.0 and USB 2.0. It also comes with compelling file transfer speeds up to 3,000Mbps so you shouldn’t be sitting around waiting for your files to transfer from computer to flash drive. If this is the type of product that you have been waiting for, or you know someone who would love this in their life, then you can grab it right now at the reduced cost from the below product link. Act right now while the deal is hot!